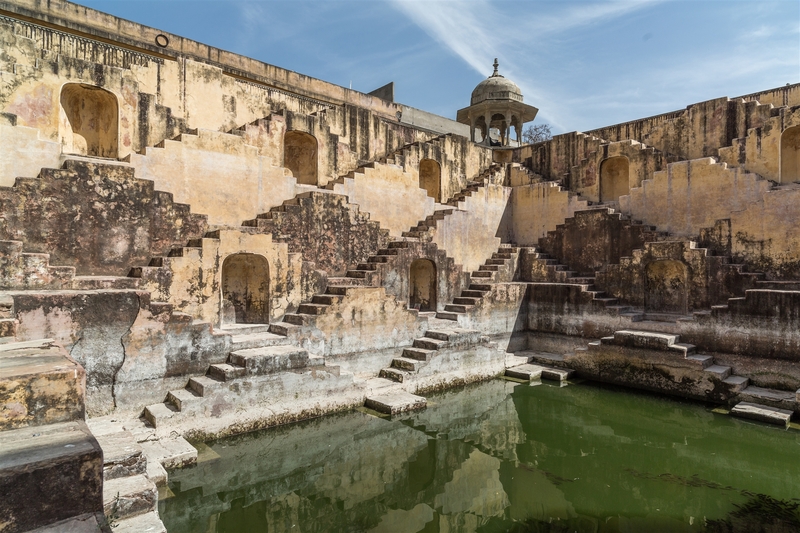 Panna Meena Ka Kund (also known as Panna Mian ki Baoli and Panna Miyan ka Kund) is located on Jaipur-Amer road near the Anokhi Museum, hidden in the north end of the Amer area, not far from Amer Fort. I have a slightly strange obsession when it comes to step-wells, it might be the geometric repeated patterns that strike a chord with me, but whatever the case it’s a worthy detour when you’re exploring the area. 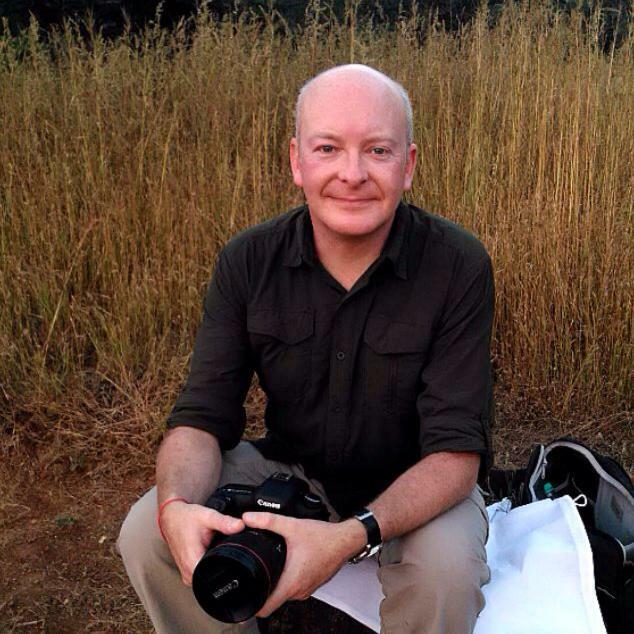 My driver, a local to Jaipur, had no idea where it was – so you may have to ask around a bit. 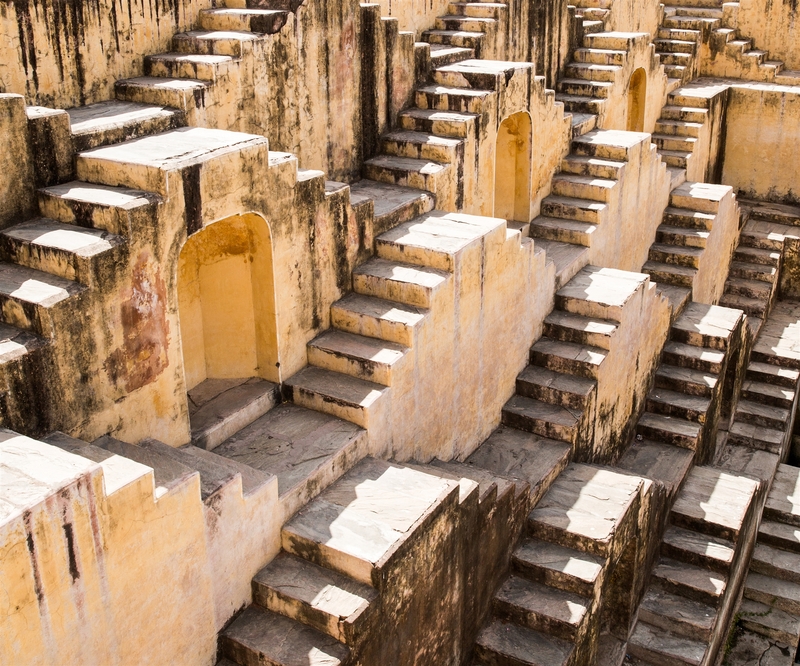 The Panna Meena Ka Kund step-well was built in the sixteenth century, as a sort of community gathering area. A place where people could come for water, a swim, a chat with a neighbour or to relax. It’s a great place to sit and spend some time during the hot summer afternoons because the ground of the kund remains very cool during that time. 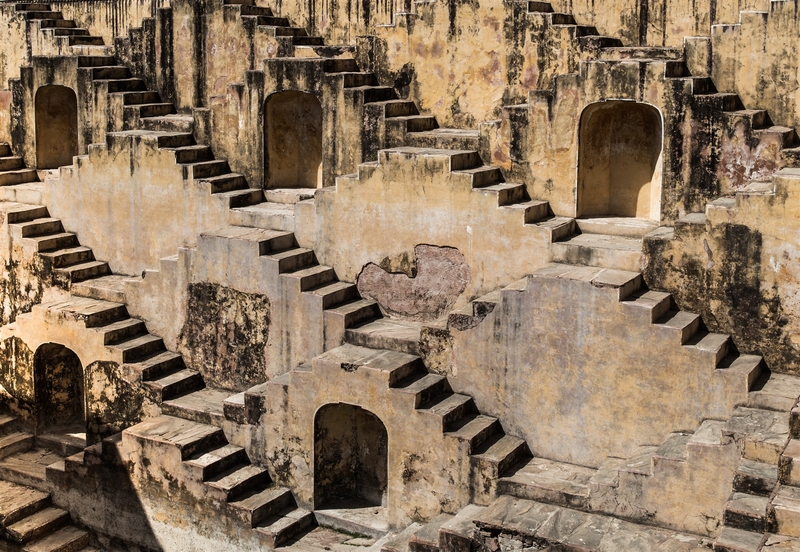 Unlike the larger and more well known step-wells of Rajasthan (e.g. Chand Baori), this one is much smaller, deserted, and nothing restricting you from exploring the steps down to the water. 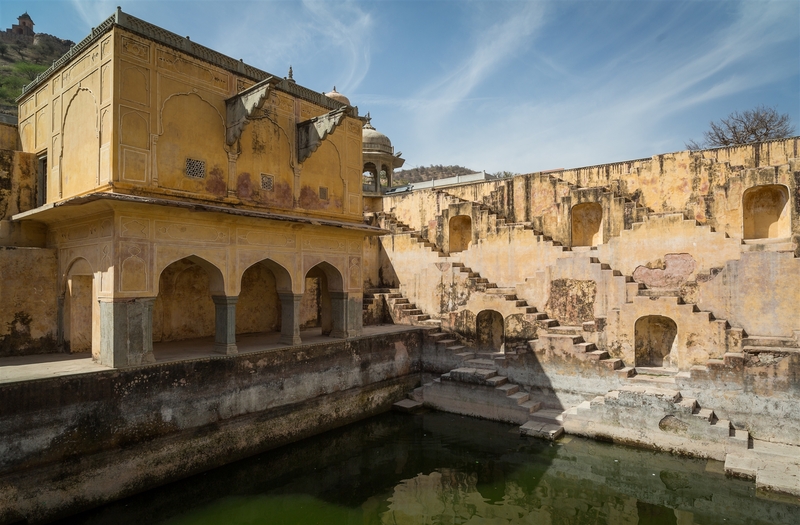 It’s a great place to visit after enduring the hoards at the Amer Palace, and well worth taking 30 minutes out of your itinerary to check it out. According to the local residents, it’s impossible for a person to use the same stairs to get down and go back up ! Amazing pictures and account. Panna Meena Kund is certainly not on a tourist map. Very few tourists visit this lovely place. Thank you for sharing your pictures. I have added these places on my “explore” list. Just returned from Cappadocia, Turkey. Plan to go back explore more. Do you contribute to Wikipedia also?